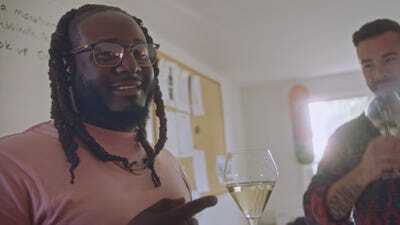 T-Pain’s new Fuse show, “T-Pain’s School of Business,” finds the recording artist interviewing the founders of successful product startups. “T-Pain’s School of Business,” which premieres Tuesday on Fuse at 11 pm ET, finds the recording artist interviewing the founders of a wide range of successful product startups. T-Pain: Mostly because I was already doing it at home, going through Kickstarter and IndieGoGo and all the funding sites. I was just trying to bring something that I already liked doing to TV. Not much other motivation than that, man. It was just a great idea. I told Fuse what I was doing on a daily basis, and they were like, “Man, that would be a great show.” And here we are. 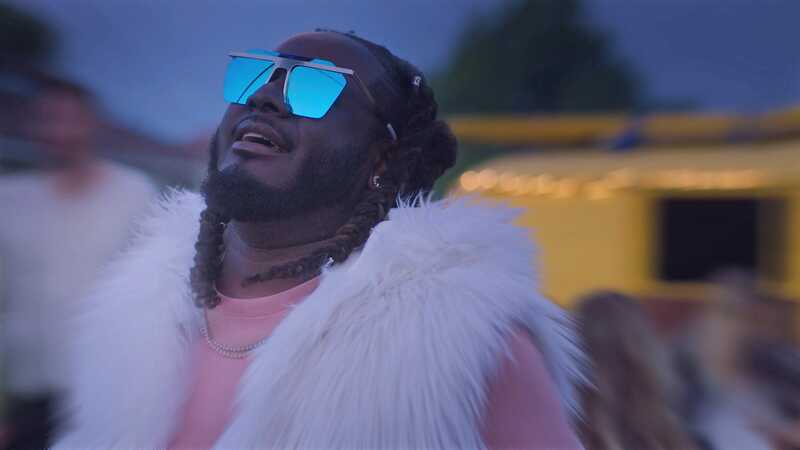 T-Pain: It wasn’t really a hard decision on how I was going to approach it, because like I said, I was already doing it, and I talk to a lot of entrepreneurs everyday. You’ve gotta imagine the number of people that come up to me everyday saying they have great ideas, or looking for funding. But a lot of these companies that I talked to on the show were already successful. I felt like it was more of an opportunity to teach than anything else, because I didn’t want to have a show where I’m like, “I know all about making money. Here’s how you do it – do this,” or you know, I’m not shutting anybody down. That seemed like a terrible idea. I just wanted it to be organic, natural, pretty much uplifting, and very, very informative. That was the most important thing. I wanted it to be informative and not just showing off how much money these people have made and how dope their products are. I wanted information behind the development, information behind the process, what made you come up with this idea. I wanted to motivate younger and up-and-coming entrepreneurs as well, so it helps out a lot to have an informative show, and not just something that’s super duper fun and you learn nothing. Lynch: One of the products that you seemed to like a lot was the Artiphon 1, this all-in-one instrument that raised $US1 million on Kickstarter. What did you think of playing that, and have you used it at all since then? T-Pain: Yeah, I’m literally looking at it right now [laughs]. I’m in my studio, and I’ve got it hooked up in my studio right now. 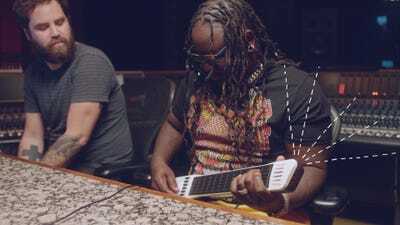 The Artiphon is such a new take on something that sort of existed, but there’s been nothing like it so far that I’ve seen, other than normal Midi controllers and the keyboards that you can bring in and turn into Midi controllers. It’s such a different thing, like with the iBow that you can use your phone and treat it like a violin, and the guitar aspect of it, you can play a piano like a guitar. So many different ways you can use it. You can make your own custom pads. And it’s just one thing that fits into your backpack. Before I saw this product, using my laptop in my hotel room, I would have to bring a keyboard, a small guitar, a record device, but all of that is in that Artiphon, so it helps out a lot. Lynch: Another product you tried was a weed-infused wine. That you seemed more sceptical of, which I think was right – it seemed like a bizarre scenario. T-Pain: [laughs] Yeah, that was actually pretty cool, man. I wasn’t chill about it at first because I’m just not a weed guy. I’m just terrible at weed on any account. I don’t know how somebody can be bad at weed, but I’m just real bad at weed. I can’t do edibles, I can’t smoke weed, but then I drank that, and man, I was actually pretty chill. Usually I’m freaking losing my mind or something like that, but there wasn’t a crazy dosage of THC in it, so I bet that helps out a lot, and also I like drinking. But yeah, it worked fairly quickly and very effectively. T-Pain: It was pretty cool, man, to be an innovator. Not that I invented autotune or was the first person to use it or anything like that. A lot of people have complained that they did it before me, and I’m grateful for that and, hey, maybe they motivated me, I don’t know, but it didn’t take off like it did after I did it. To see myself as somebody that brought it to the forefront and made it popular, I’m really glad I did it. That’s something under my belt that I can keep going and tell my grandkids about. Lynch: And you’re still – you haven’t exhausted it, you still like using autotune as a tool? T-Pain: Oh, absolutely. I can’t stop doing something that I started. It’s a pretty cool thing for me, and it’s part of my sound. So I don’t want to change too much. If it ain’t broke don’t fix it, you know. It’s one of those things. Lynch: You had a recent back-and-forth on Twitter with Delta airlines about your distaste for their runway music, and they ended up playing “Buy U a Drank” on one of your flights. Is that, or what’s the strangest place you’ve heard one of your songs? T-Pain: Yeah, I didn’t think they would be doing that, but hey, they used it, flipped the words around to talk about God and Jesus, and yeah, I’m all about it. I have no problem with that. T-Pain: It was “Bartender,” which was weird. They flipped that around and made it about “the word.” So that was pretty cool. Lynch: Prepping for this call, I had a sharp flashback to being an emotional white kid listening to “I’m Sprung” on like a CD player, back in the day [laughs]. I’m wondering, is there an era of your career that you’re particularly nostalgic for or proud of? T-Pain: I think the “THR33 RINGZ” era. I feel like I got more creative in that time, and I took more risks with the style of clothing I was wearing, and coming out with all these props at my shows. And that’s another thing that really brought me to doing this TV show was taking risks, and just seeing how difficult it is to really believe in yourself when nobody else knows what the hell is going on. Because if I would have listened to people when I came up with the whole circus theme [for “THR33 RINGZ”], that whole album would have never happened. It helped to believe in myself and get to a point where I could channel my inner entrepreneur and just go for it, and do things on the road that nobody had seen before, and it worked out. Lynch: You just dropped a second volume of “Everything Must Go.” Why release free collections of your songs at this time – why must everything go? T-Pain: Well, for one, I don’t feel like buying any more hard drives, and I’m running out of room on all the ones my music is on. So if I’m running out of space on a four terabyte drive, then I just need to either delete all the music I got on there or just release it. I’m not using it for anything or making money off it sitting in the ol’ hard drive, then why not just give it to the people? It’s just something to bring awareness that I’m still here, same type of music. It was music I made in my leisure. I mean, the only way I would capitalise off of it is if one of the songs becomes a hit and I go touring off of that song for some reason, I don’t know why, but it’s not really a priority of mine at this present time. Lynch: How are you thinking about your next official release – I’m assuming you’re in the studio for it? T-Pain: Yeah, it’s actually coming pretty soon, like really really soon. Like less than two months soon. So I’m just in the studio getting it done. We got the final tracks. I just sent in all the sessions for mixing. It’s pretty much like, not so much a surprise, but basically like I’m doing everything on the go. The game isn’t really big on promoting anymore anyways, so it’s just like a thing I’m doing. I’m not seeing it as a big, life-changing thing I’m doing, but it’s definitely something I want to put out in the world. T-Pain: I don’t think I’m coming at it with any particular concept or anything like that. Conceptually, it’s just me enjoying music again. It’s just a vast array of things that I’ve had on my mind recently. There was a point where music didn’t really mean as much to me as it used to, so just getting back in the groove and really enjoying it again is what you would get out from it. If I had to lay a concept to it, I think it’s just me having fun [laughs]. That’s all it boils down to. “T-Pain’s School of Business” premieres Tuesday night on Fuse at 11 pm ET.